Russia-backed militants attacked Ukrainian troops’ positions twice in the combat zone over the last day, using Minsk-proscribed 120-mm mortars along with other types of weapons. 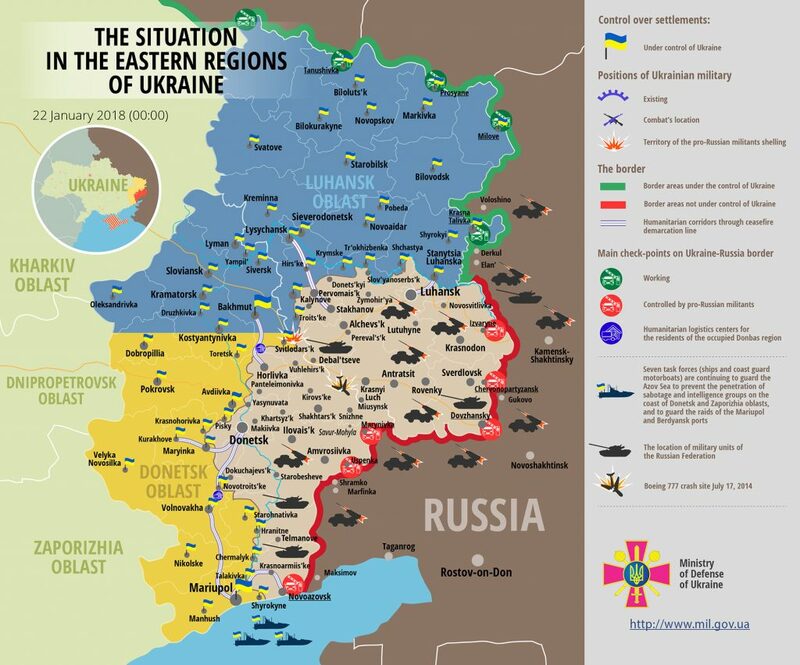 Both attacks took place in Luhansk sector, namely in Svitlodarsk area, reported Colonel Dmytro Hutsulyak, Ukrainian Ministry of Defense spokesman on ATO, at a press briefing at Ukraine Crisis Media Center. Russian proxies made two consecutive attacks on Ukrainian troops’ positions near Luhanske at about 23:00 having fired twenty 120-mm mortar rounds along with using heavy machine guns. “Militants conducted these attacks from the temporarily uncontrolled localities Nyzhnie, Lozove, and Kalynivka,” the ATO spokesperson added. Ukrainian troops returned fire once. Yesterday some Russian-controlled media and sympathizing pro-Russian ones spread the information that a civilian bus in the grey zone moving through the control point across the contact line “Olenivka” located in the temporarily uncontrolled territory of Donetsk region was allegedly fired upon by Ukrainian troops. “Press center of the ATO Staff reports the above statements to be not true,” Colonel Hutsulyak said. The ATO Staff previously warned of possible provocations and purposeful attacks by militants upon their own positions or civilians. According to the operational information, the civilian bus was attacked by Russia-backed militants. “According to the locals who were crossing the contact line at that moment, resulting from the above actions one civilian died, another one was wounded,” the ATO spokesperson said. Report on the military developments as of January 21 is available here. Interactive data on the shelling: chronology shelling chart and the interactive map.